These negotiated professional practice work-based learning programmes are purposely flexible and are designed to be responsive to the changing work force development needs of the health, social care and education sectors and to the professional development needs of individual practitioners. 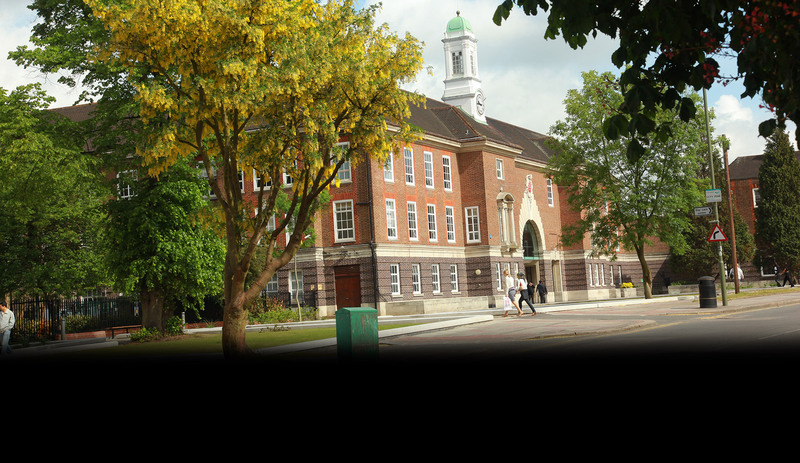 Why study BA/BSc/GradCert Professional Practice (Negotiated Specialism) at Middlesex University? This is a flexible, work based route to gaining a graduate qualification in a particular area of professional practice, that can be customised to meet your needs and those of your workplace. It is ideal for those who have completed previous accredited activity, higher apprenticeships or other qualifications as well as for those who have prior experience of work in the health, social care and education sectors. You will be supported to reflect and build upon your prior experience and experiential learning to develop advanced situated knowledge based around your workplace context. You will develop your advanced practitioner inquiry, leadership and project skills to develop your own practice and practice in your organisation. You will also be able to design and lead a work based project that has the potential to transform your own practice and that of others. You will develop your confidence in presentation and dissemination through group seminar presentations as well as written reports. I was able to get my degree in a shorter time because of the credits I’d gained. It gave me a better understanding of what, how and why I’ve learned through my career and it also improved my confidence. What will you study on BA/BSc/GradCert Professional Practice (Negotiated Specialism)? During the course of this programme, you will develop your knowledge and understanding of a range of relevant theoretical concepts, practice and evidenced based knowledge that can be applied to real work contexts and complex issues. You will study ethical principles, values and codes of practice and explore how these can be applied to your own practice. You will also explore the influence of current policy, organisational context, and workplace priorities on practice development. You will also look into relevant methodologies and approaches for developing your own practice and/or that of others in health, social care and education settings. On completion of this programme, you will be able to effectively engage, network and communicate with relevant stakeholders and academic audiences, and take initiative and leadership for practice development in your own setting or work context (within limits of role). You will understand how to evaluate practice or identified issues and apply appropriate problem solving techniques, inquiry and action planning. You will have the ability to systematically design, undertake and manage a work-based project that has the potential to improve your own practice and/or that of others. Finally, you will learn to critically reflect and evaluate your own practice and systematically plan professional development. This module runs throughout the programme and is designed to enable you to critically evaluate your personal and professional development needs and develop a professional development plan. It will also support the academic skills needed to succeed at graduate level. This module is designed to develop your understanding in a range of advanced inquiry methodologies appropriate for practitioners to design a proposal for a real work based project that has clear objectives related to your own professional development and/or the development of practice in your setting. This module is the culmination of a your degree and will support you to undertake and evaluate a real work-based project that is designed to develop or inform areas of your own or your colleagues professional practice in a healthcare, social care or educational setting. Both 30 and 60 credit options are possible depending on the requirements of the individuals negotiated programme. The Graduate Certificate is particularly suitable for practitioners who have undertaken accredited CPD modules with their organisation or a University and want to achieve a small graduate award in the first instance. Progression from an accredited course(s) to a named award may have been negotiated by your organisation as part of the accreditation. Bring in relevant certificated credit from Middlesex modules, another university or accredited partner or gain credit for experiential learning through recognition of prior learning (RPL). This course can support your professional development requirements for access to PGCE teaching programmes or for ongoing health and social care professional registration and promotion. How is the BA/BSc/GradCert Professional Practice (Negotiated Specialism) taught? On all programmes, modules are supported through a blended learning approach, involving interactive campus and online workshops, supported (online) peer interaction, tutor support and guided self-study. Workshops are provided at Hendon campus, usually 3-6 per module but are also available online for students accessing the course from a distance. Most modules run over 12 week semesters from October to January or January to May. The final project module can run over 2 semesters. Entrants will be practitioners with relevant experience and currently working in health, social care or education settings. Applications for this course should be made directly to the university. Please view our undergraduate application page for further information and to apply. How can the BA/BSc/GradCert Professional Practice (Negotiated Specialism) support your career? These programmes are designed to support your professional development requirements. Previous graduates have progressed successfully to School Direct Initial Teacher Training (ITT) programme or Early Years Teacher Status (EYTS) programme and gained employment in Schools and early years settings. Other graduates have gained promotion to care manager in social care residential settings. Ruth is the Director of Programmes for Accreditation, RPL and Work-Based Learning across the School of Health and Education. She has extensive experience across FE and HE developing programmes in response to workforce development needs across the sector. She has a particular interest in the recognition of students experiential learning and developing their project skills to lead real practice development. Dr Nottingham is based in the Department of Education within the Faculty of Professional and Social Sciences working on the professional doctorate programme and degree apprenticeships. Her research interests are in higher education and work-based pedagogy, lifelong learning and professional doctorates. She has been the co-covenor for the UALL Work and Learning Network since 2015 and is a Senior Fellow of the Higher Education academy.